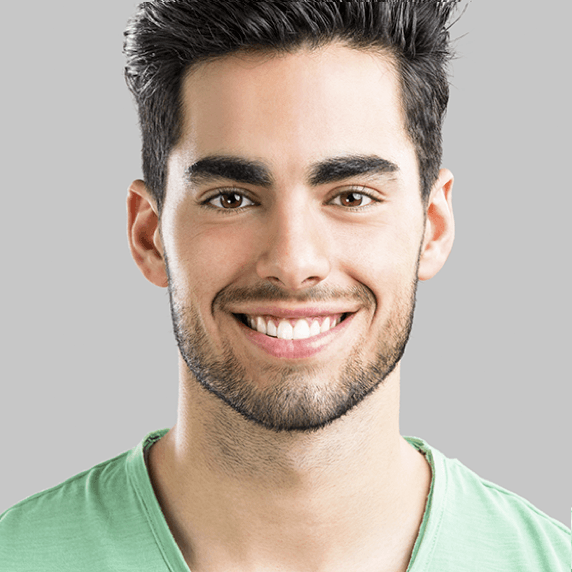 bea Skin Clinic offer specially tailored aesthetic skin treatments for men, specifically solutions for hair loss, scalp problems and ingrowing facial hair. bea Skin Clinic's extended, multi-faceted hair restoration package is a full course of treatments which involve a combination of galvanic current, micro-needling, micro-injections and infrared LED light treatments, as well as a rigorous home care regime in order to boost and maintain in-clinic treatments. This is the ideal choice for those with male pattern baldness, significant hair thinning, or hair loss from alopecia. Professional scalp micro-needling with the Genuine Dermaroller stimulates blood circulation to the scalp and promotes long-term hair regrowth. Depending on the extent of hair loss, results are typically seen around six weeks after one treatment. For best results, a course of treatments over 6-12 months is recommended. Breakouts, ingrowing hairs and sun damaged skin can be remedied through bea Skin Clinic's customised male facial treatments. Mr. Smooth medi facials are professional facials that use medical grade products to tackle a variety of skin conditions affecting men. Treatments begin with a light exfoliation, followed by the application of professional-only topicals. Ingrown hair removal and deep pore cleansing are included in each Mr. Smooth facial as standard. Whether you opt for one treatment or a weekly check in, your skin will appear noticeably brighter and softer immediately afterwards. For optimal skin improvement, a course of once weekly treatments are recommended. Non-thermal infrared and red light treatments for hair loss prompt cell regeneration and stimulate blood flow to the scalp. These non-surgical hair regrowth treatments take approximately 30 minutes, during which time a large LED panel is positioned over the scalp. Treatments can be combined with micro-injections of specific medications into the scalp, promoting follicular stimulation and faster hair growth. After 3-6 months of regular treatments, non-surgical hair regrowth with LED light often results in hair regrowth in thinning or balding areas. A course of treatments is recommended, with results apparent in as little as six weeks. The quality of skin on the scalp dictates whether each individual hair root retains its strength. Galvanic current treatments, together with specialist hair medication topicals, promote stronger, more resilient hair after just one treatment. Regular treatments are an excellent preventative measure against breakage and hair loss.